A PARTY ESSENTIAL: Every event is better with sweet treats. 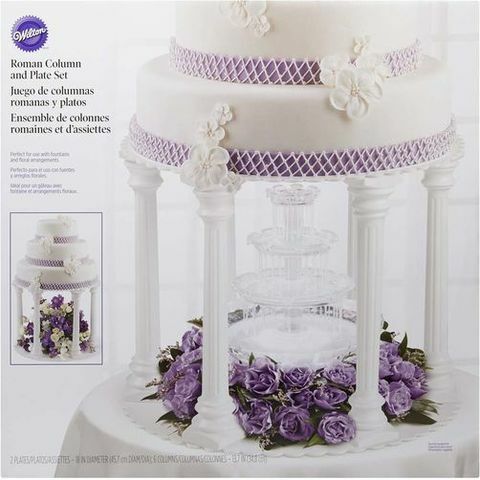 Showcase cakes, cupcakes, tarts, cookies and pastries on this beautiful Roman Column style cake stand. Your desserts will stand out at any gathering, adding flair and drama to the dessert table. 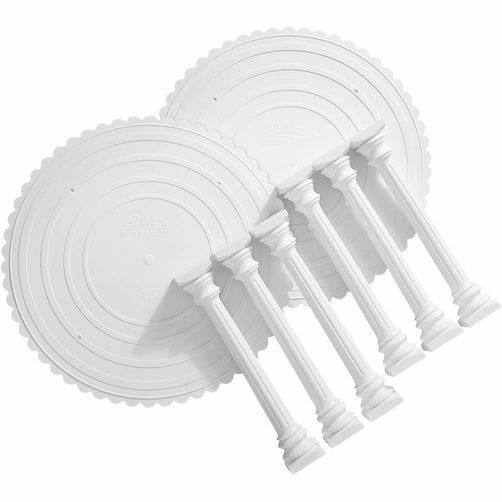 CLASSIC ROMAN COLUMN DESIGN: The Roman style columns and scalloped edged plates are perfect for any décor in any room. This all-white, 8-piece wedding cake stand is easy to clean, easy to assemble and stores away conveniently when not in use. TAKES BAKING TO NEW LEVELS: With 4 different tiers you’re free to take your mouthwatering desserts to new heights. Maybe place cookies on the 1st tier, cupcakes on the 2nd, Danishes on the 3rd and a delicious cake on the top. Let your creativity rise. USE AND CARE INSTRUCTIONS: Before first and after each use, hand wash in warm, soapy water. Rinse and dry thoroughly with a soft cloth. EVERYONE, EVERYWHERE, EVERY DAY: Innovative products. Mouthwatering inspiration. Fun in the kitchen. This has been at the heart of what we do for nearly 90 years. Whether you’re hosting a party or need to bring a special treat, Wilton has you covered.